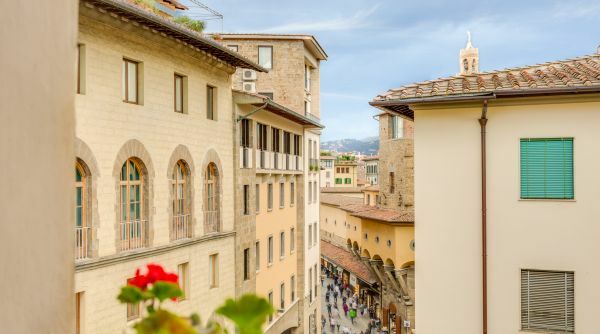 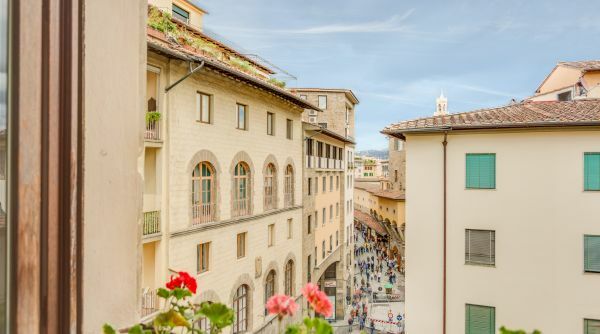 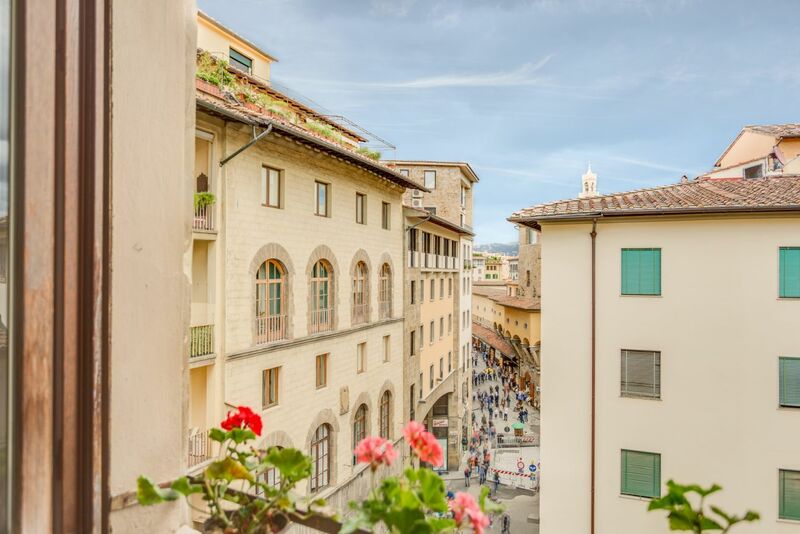 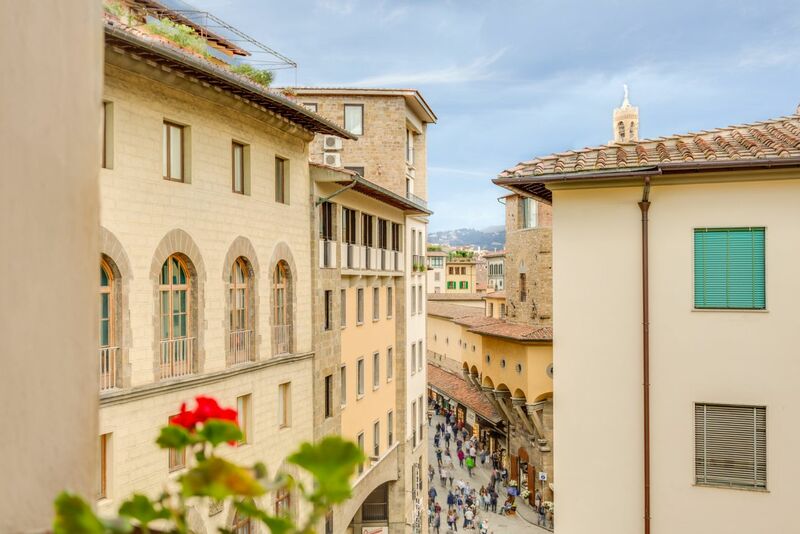 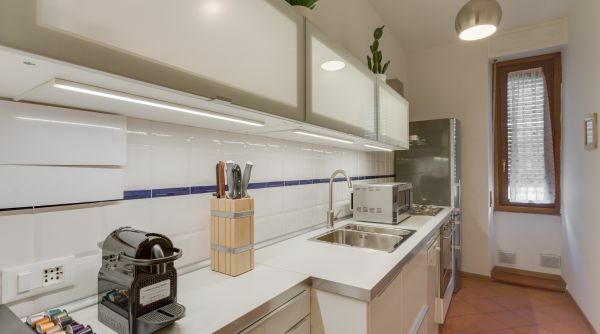 Piazza Santa Felicita is a great 2-bedroom, 2-bathroom apartment located a few steps away from Ponte Vecchio, on a fifth floor with elevator! 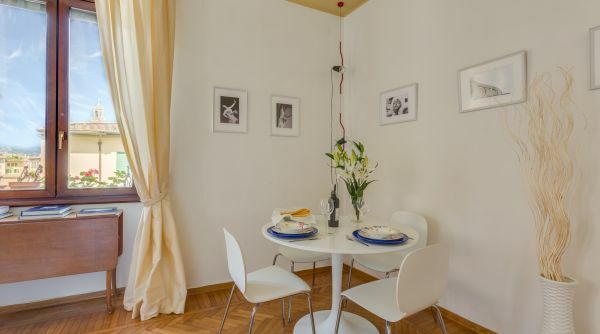 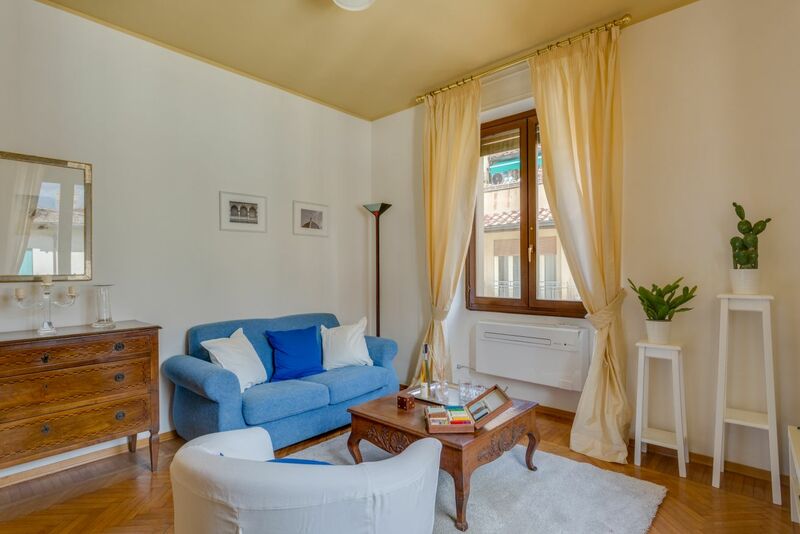 The apartment opens up to a corridor, which leads to the living area, comprised of a sitting area, furnished with a Sofa, a comfortable chair, coffee table and TV; and a dining area with a table for 4 guests. 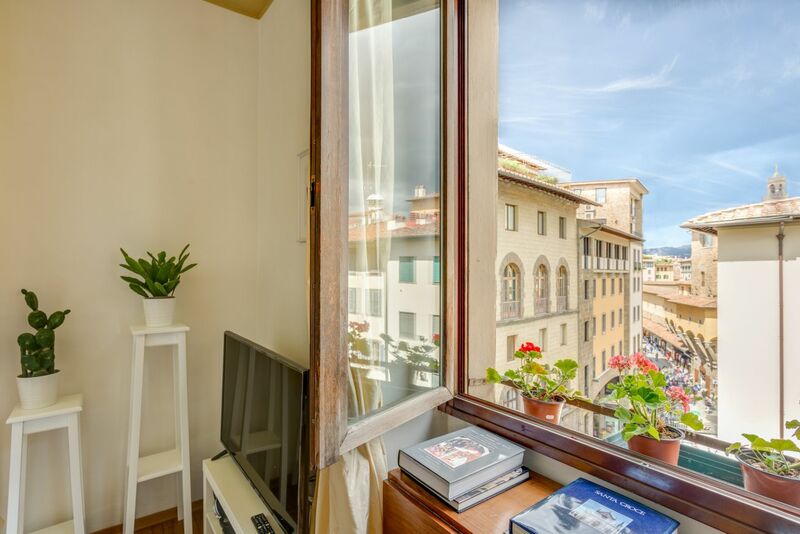 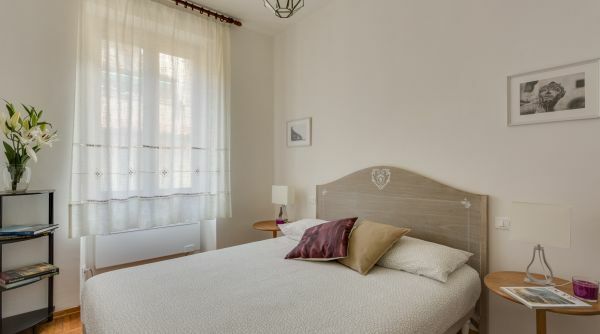 The whole room is filled with natural light and great views of Ponte Vecchio and the buzz of the city center. 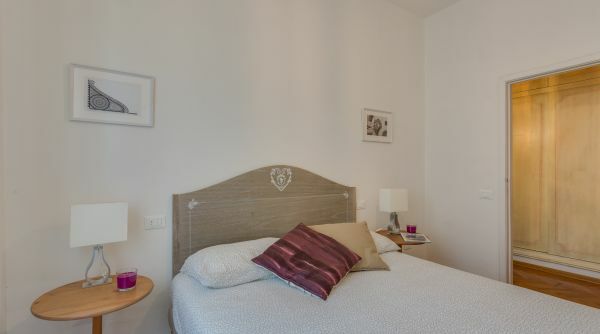 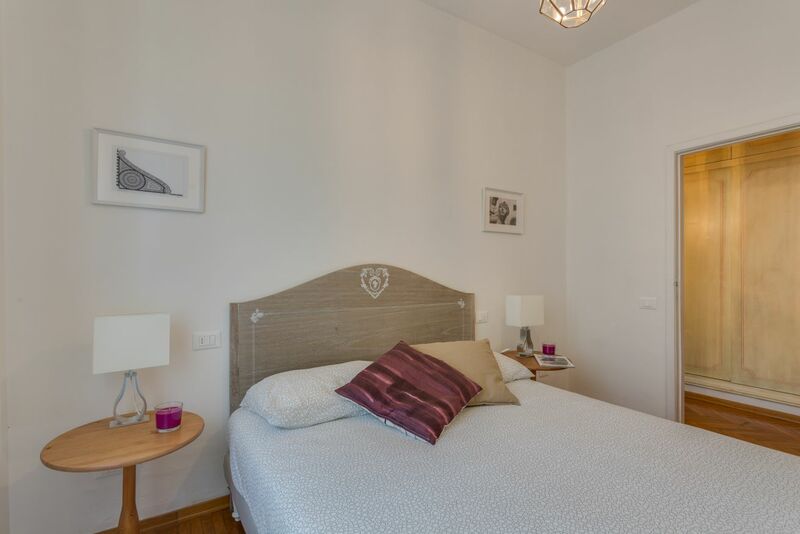 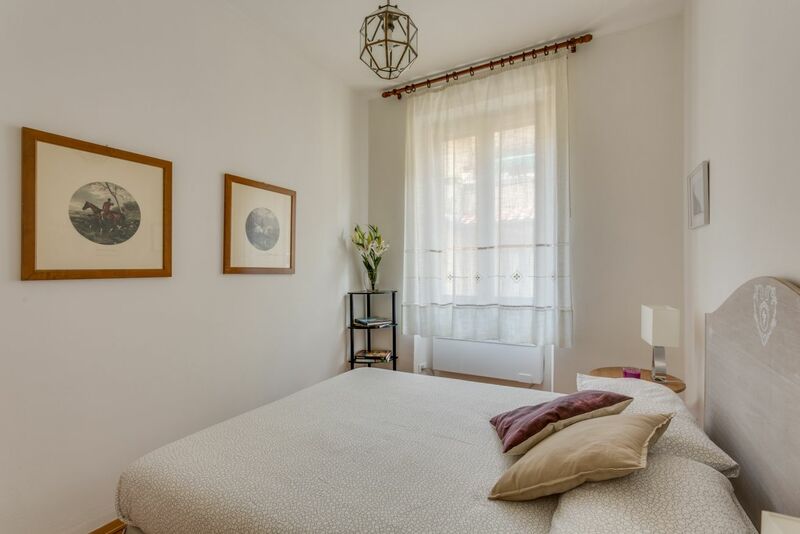 The apartment has 2 bedrooms, also bright and airy, furnished with double beds and side tables. 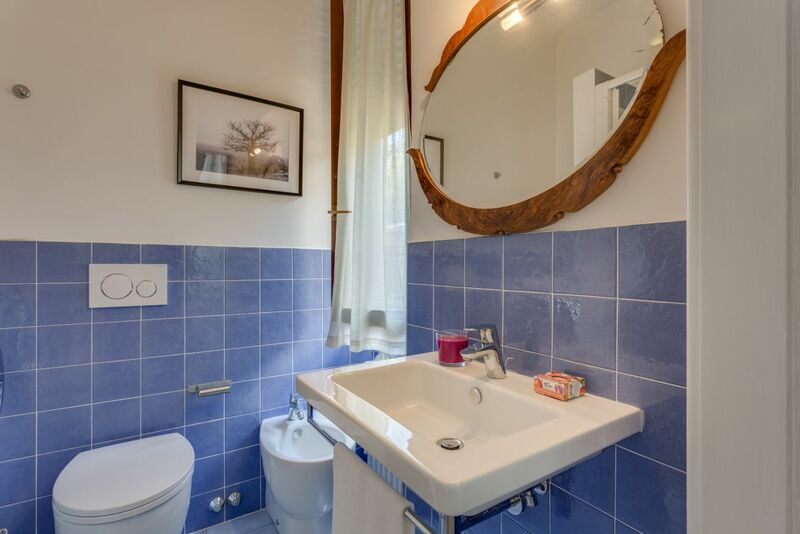 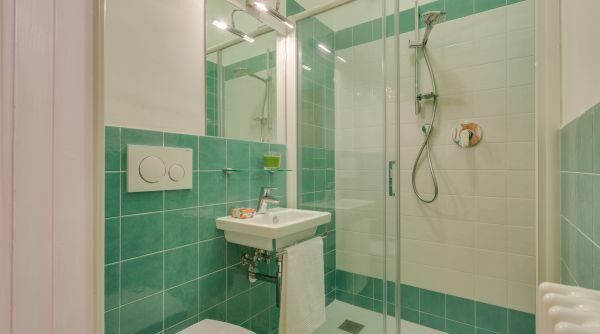 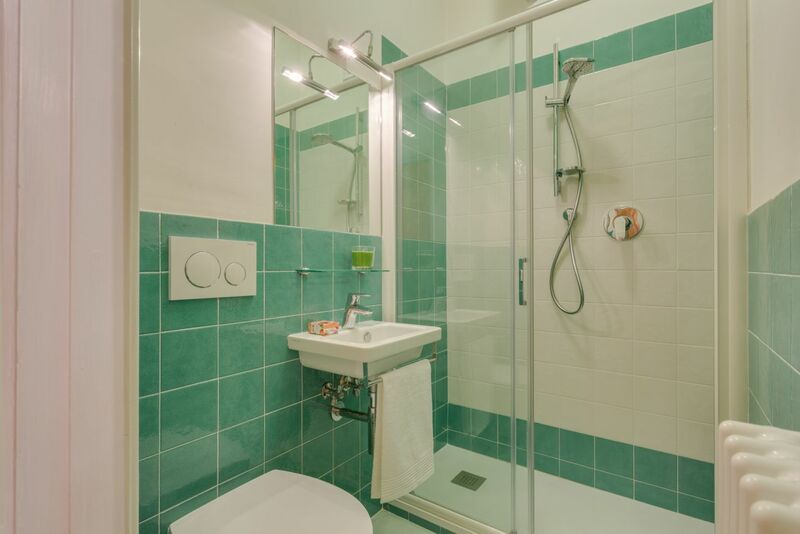 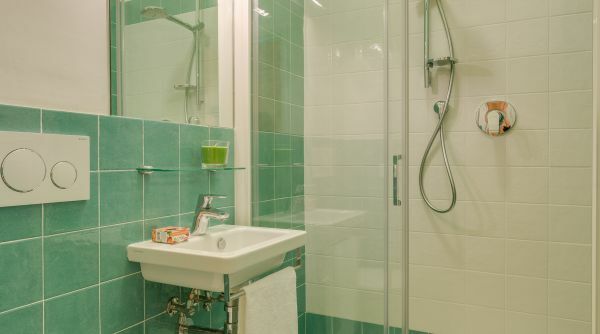 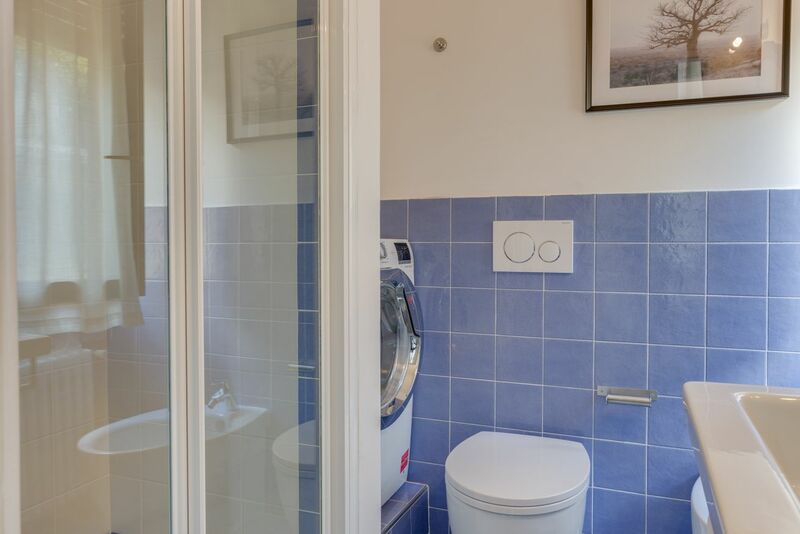 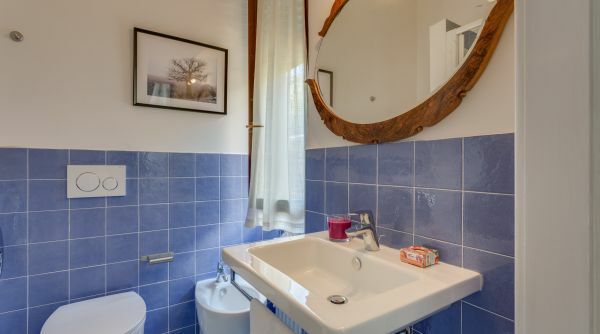 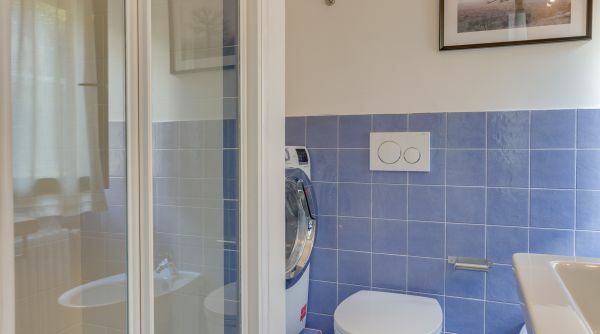 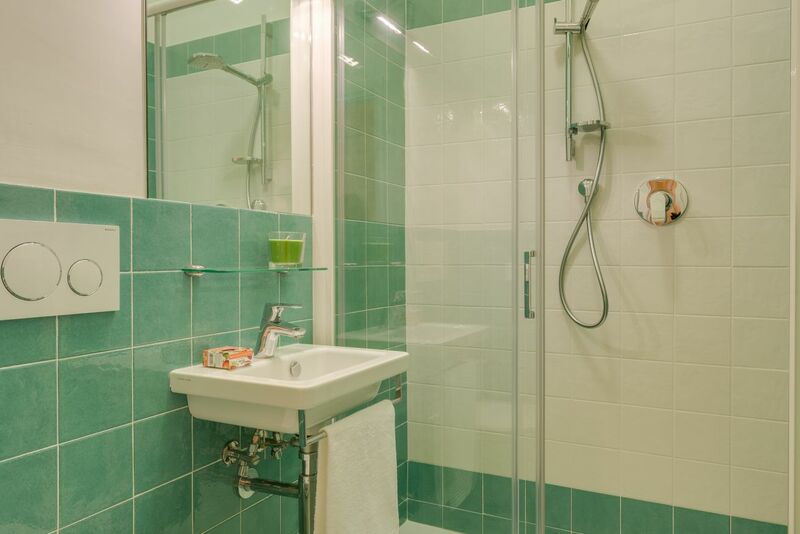 There are 2 full bathrooms fitted with showers and in one of them you will find the washing machine. 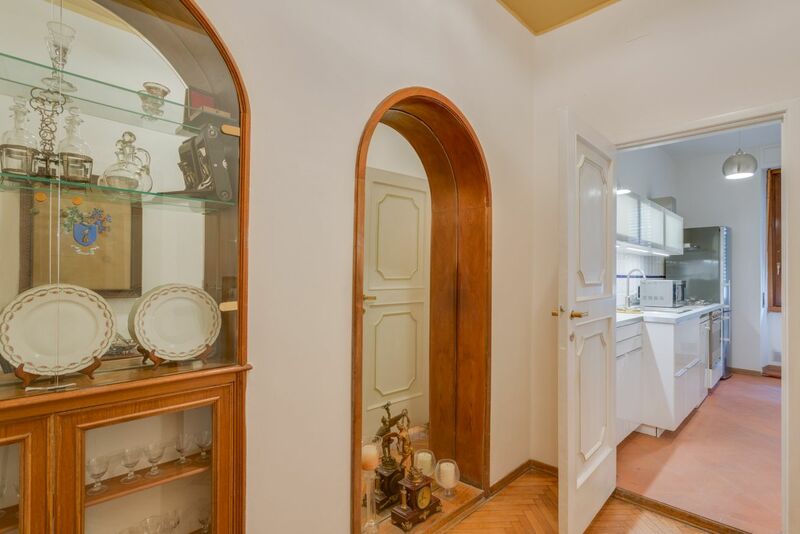 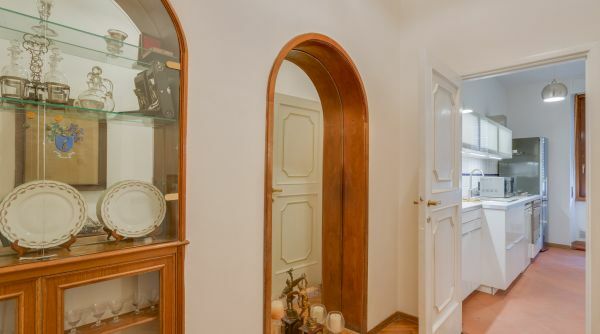 There is plenty of storage space along the corridor making this apartment an ideal choice for a longer stay. 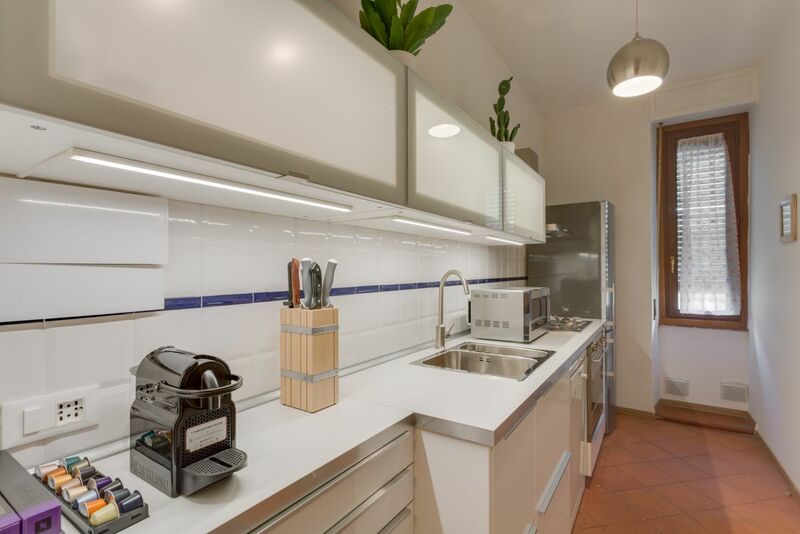 The kitchen is fully equipped with all you need to cook your favorite meals, also in the kitchen you will find a small table where to have a quick bite. 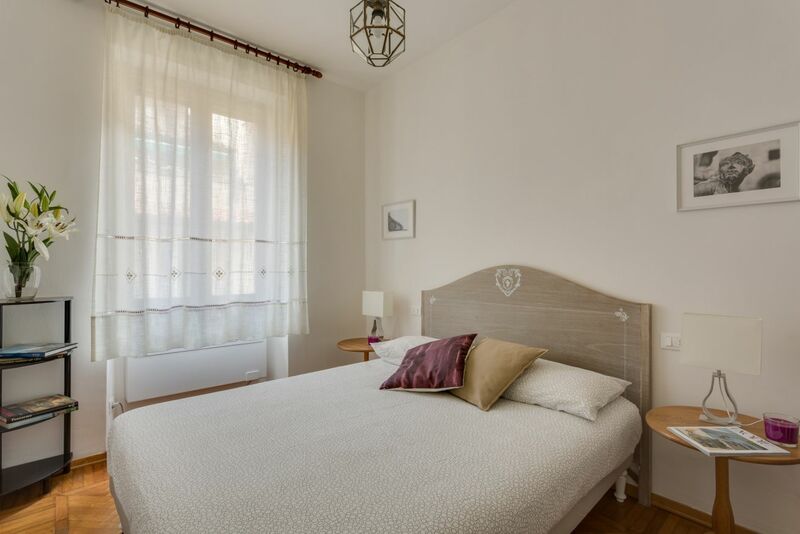 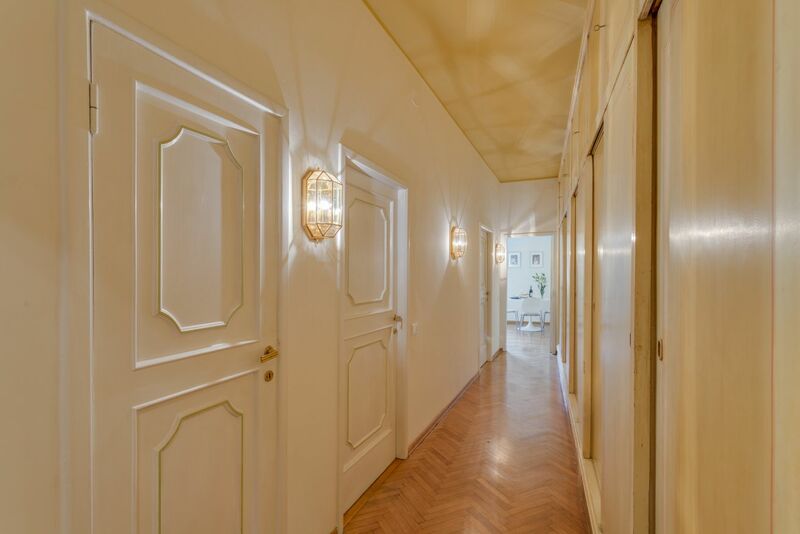 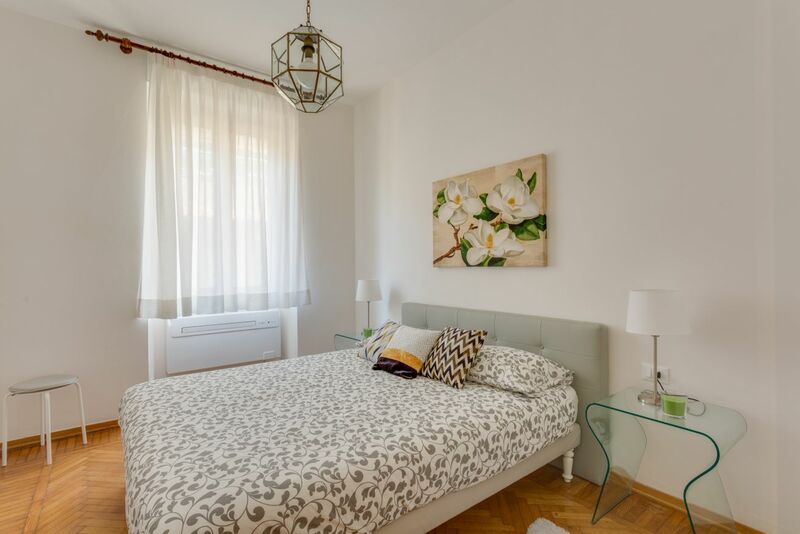 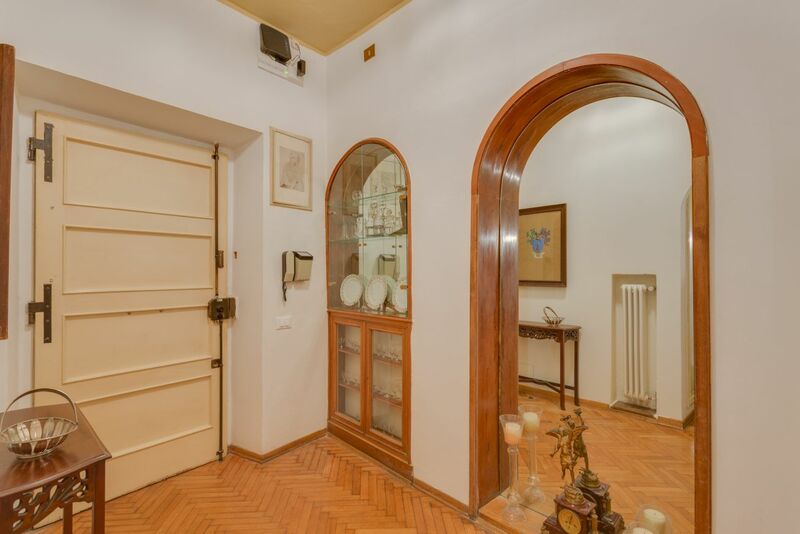 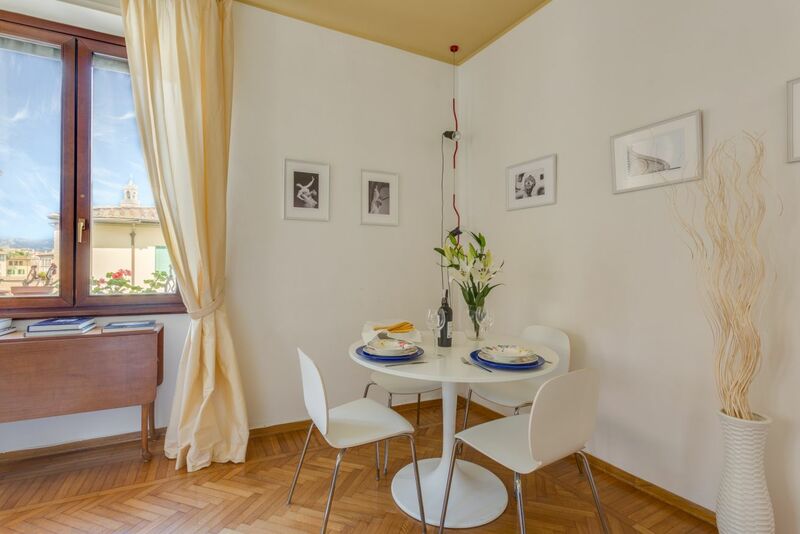 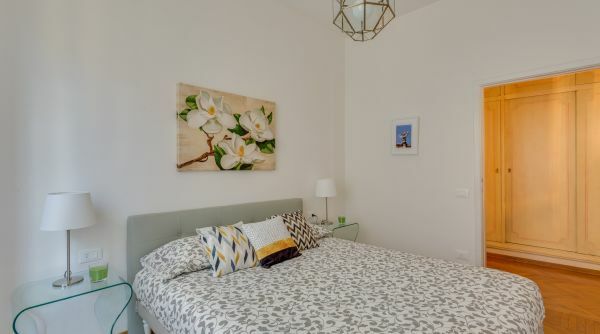 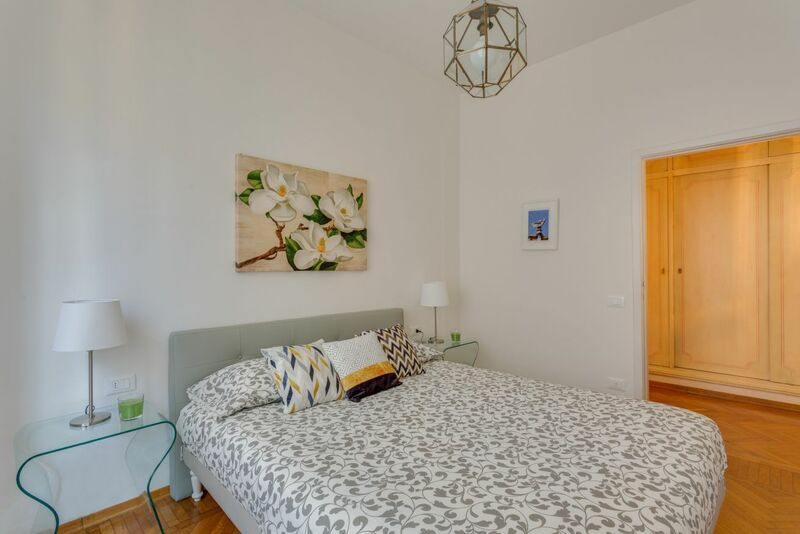 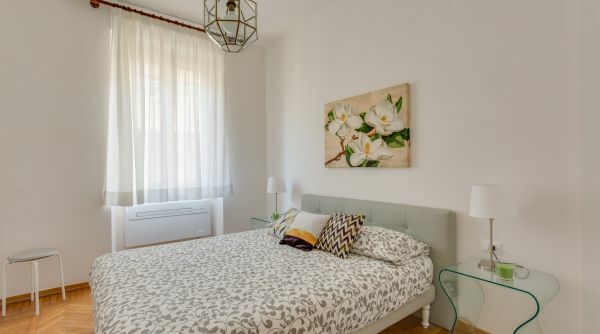 The whole apartment is bright and spacious, with wooden floors and AC units. 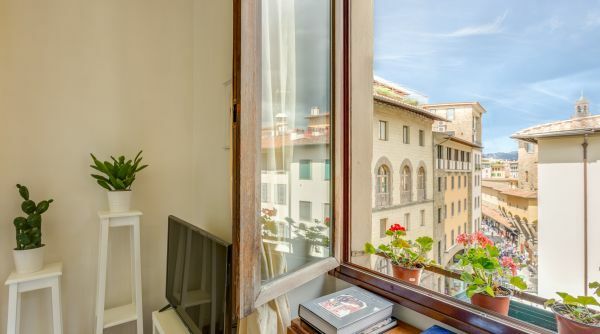 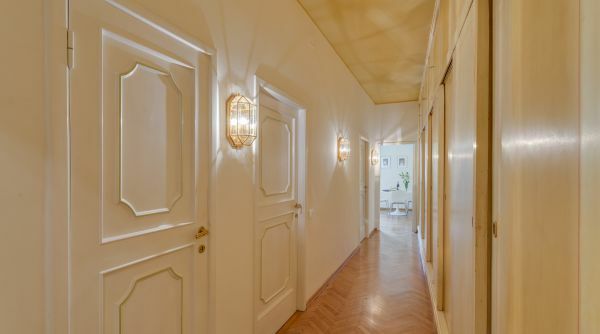 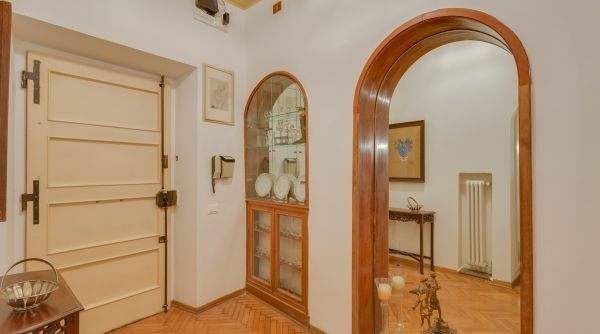 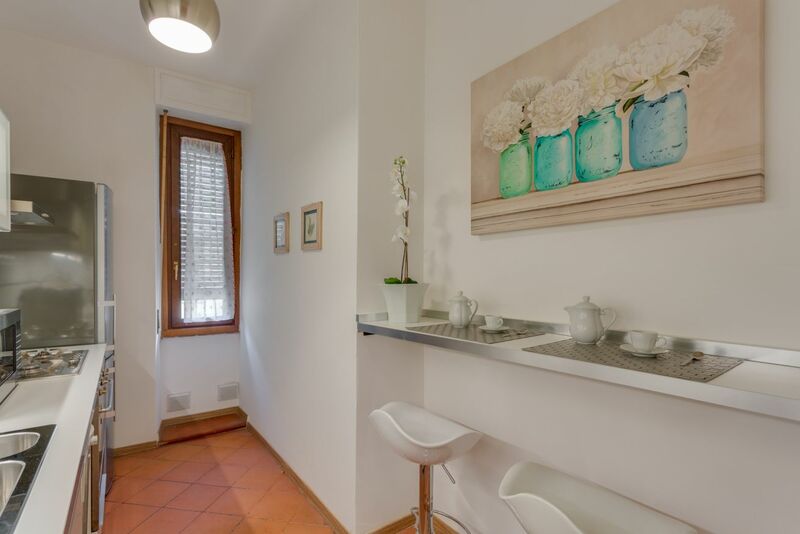 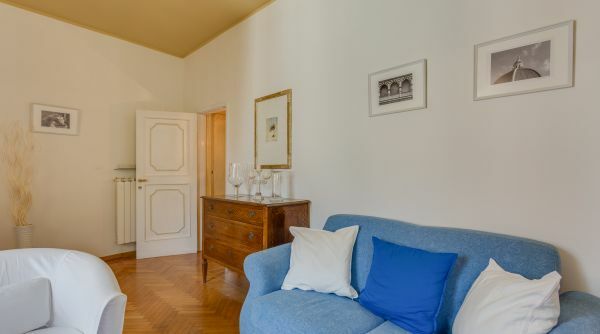 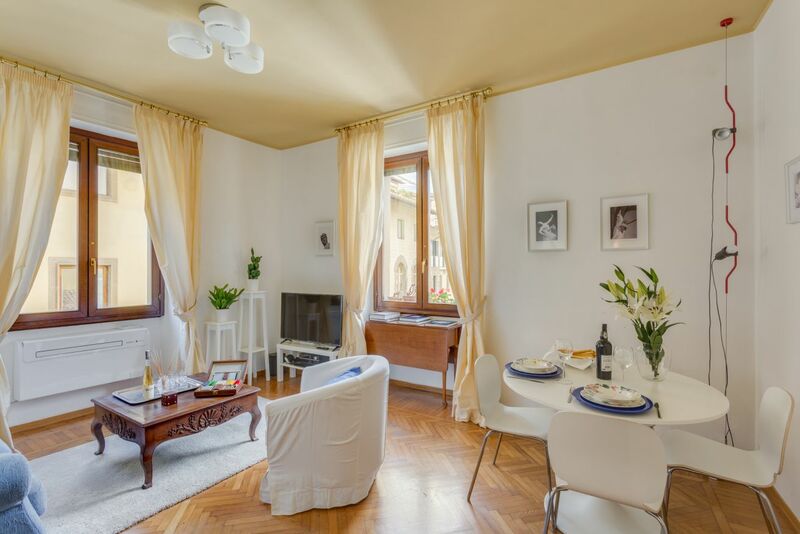 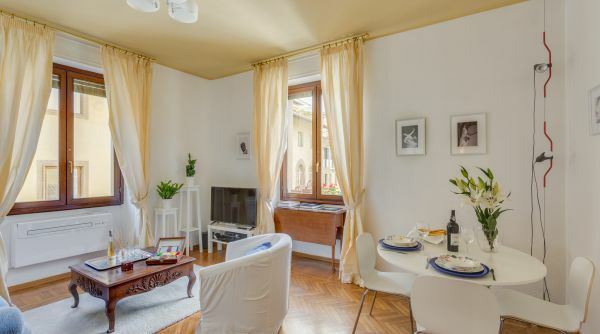 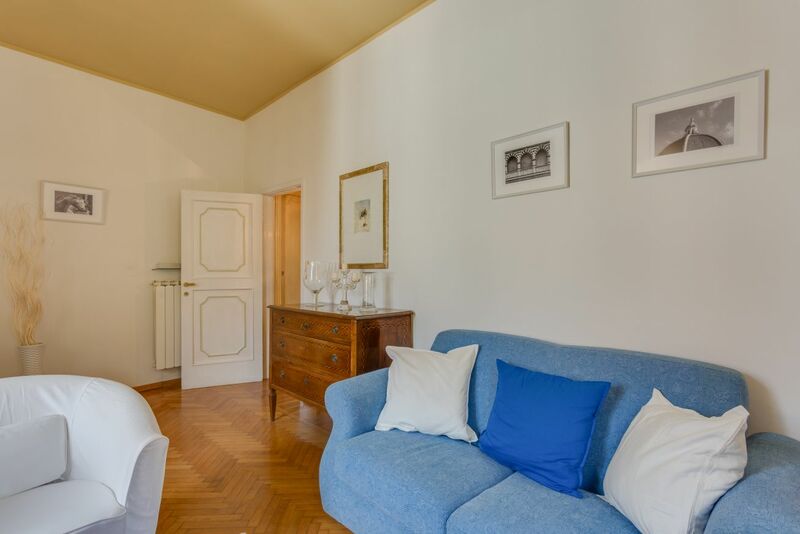 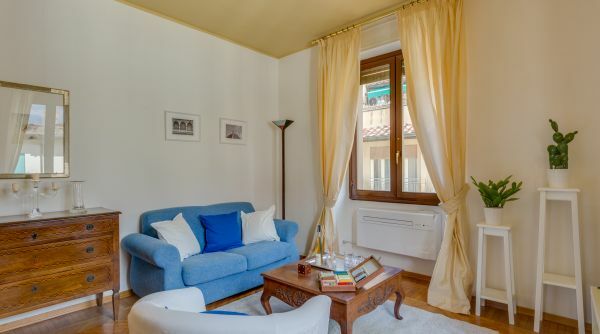 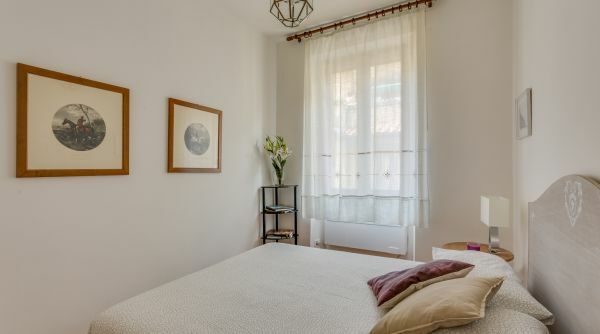 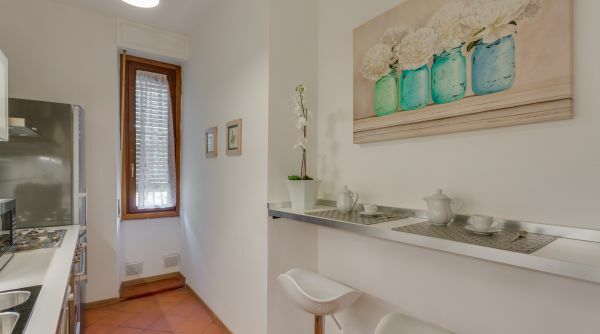 Piazza Santa Felicita is perfect for friends or a family who wants to stay in Florence for medium to long periods, immersed in the rich history here, just a short walk from all of the major points of interest.